Thomas Barton was born in County Monaghan, Ireland, and educated at Trinity College in Dublin. He arrived in America in 1750. He married Esther Rittenhouse in Philadelphia’s Gloria Dei Church in December 1753, the same year he was employed by the Academy of Philadelphia (forerunner of the University of Pennsylvania) as a tutor in the English School. His service was evidently satisfactory since the trustees awarded him a raise in November of that year. In August of the following summer, Barton notified the trustees that he was resigning his position to enter the priesthood. They granted him leave to end his service within the next two months. After his ordination as an Anglican minister by the Bishop of London in January of 1755, he returned to Pennsylvania as a Society for the Propogation of the Gospel missionary. During the next two decades he served first in Carlisle and then in a variety of other locations in rural Pennsylvania and also in northern Delaware. During the French and Indian War, he also served briefly as a chaplain. A British Loyalist during the American Revolution, he closed his churches and fled to New York City in 1776, where he died in 1780. Two of Barton’s sons would also have ties to Penn. 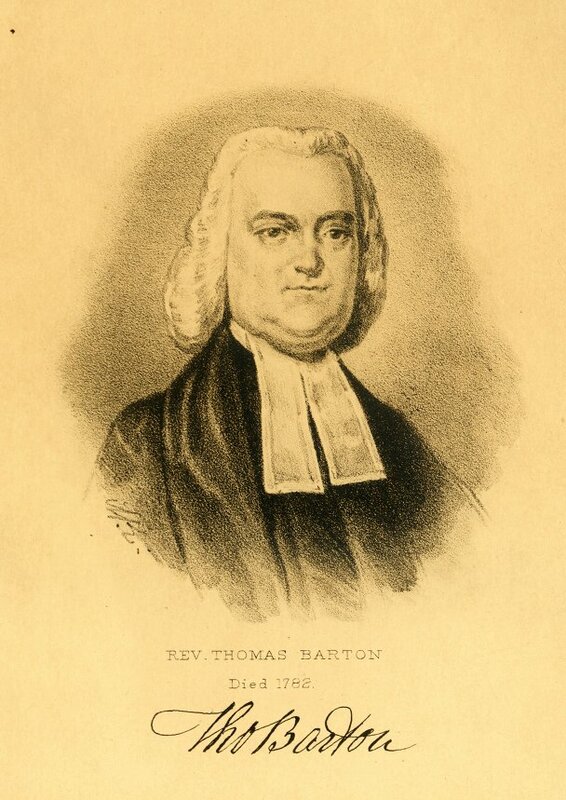 William Barton received an honorary master’s degree from the University of the State of Pennsylvania (now the University of Pennsylvania) in 1781. Dr. Benjamin Smith Barton received the same degree in 1787, before he became a member of Penn’s medical school faculty.